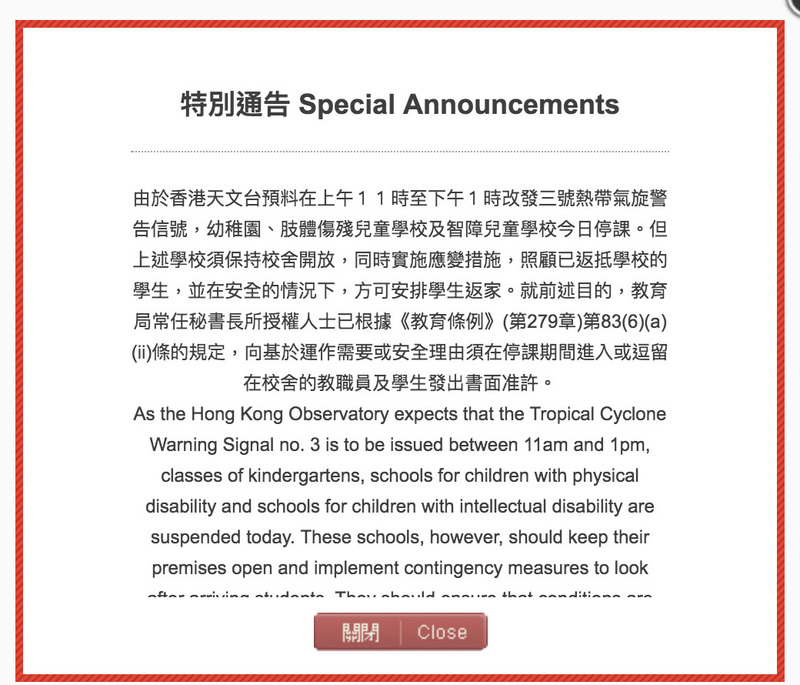 As the Hong Kong Observatory expects that the Tropical Cyclone Warning Signal no. 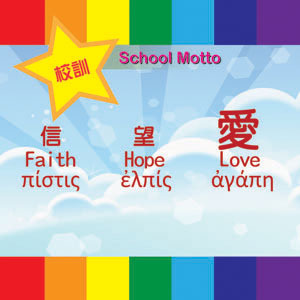 3 is to be issued between 11am and 1pm, classes of kindergartens, schools for children with physical disability and schools for children with intellectual disability are suspended today. These schools, however, should keep their premises open and implement contingency measures to look after arriving students. They should ensure that conditions are safe before allowing students to return home. For the foregoing purposes, the delegated authority of the Permanent Secretary for Education has given a written permission under section 83(6)(a)(ii) of the Education Ordinance (Cap. 279) to those school staff and students who need to enter or remain in the school premises during the period of suspension due to operational need or safety reason. PM and whole-day classes are suspended today.